> Within a few short decades, industrial fishing has expanded from the traditional fishing grounds of the Northern Hemisphere to include all the world’s oceans and seas. Many stocks have been overexploited and are depleted. But the situation is not without hope. Some countries have shown that fish stocks can in fact recover when sustainable fisheries management systems are implemented. > People have been fishing in the deep sea for over half a century. 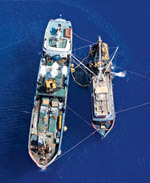 Over time, ever deeper ocean regions have become accessible to deep-sea fisheries. These hidden habitats are doubly endangered, because they are home to rare as well as sensitive organisms. Fortunately, the knowledge that these ecosystems require special protection is gradually becoming accepted. > In many maritime regions of the world, illegal fishing has massively contributed to the depletion of fish stocks, especially in developing countries’ coastal waters. Better international cooperation to control fishing vessels is now being launched. The aim is to eliminate illegal fishing in future. More than a quarter of the world’s fish stocks are now classed as overexploited or depleted. 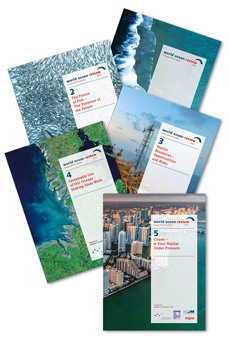 Since 1950, the world annual fish catch has increased fivefold. In light of these statistics, it has often been claimed in recent years that overfishing will soon empty our oceans. However, the situation is by no means the same in all maritime regions. Although it is often the short-term profits that count, some countries such as Australia, New Zealand and the U.S. are now structuring their fishing industries towards sustainability. Here, the aim is to establish a future-proof fishing industry which yields abundant harvests while maintaining fish stocks. What is worrying is that much of the information provided by many countries about their fish stocks and catches is still very patchy or inaccurate. As a result, the status of stocks is almost impossible to verify in many cases. In the past, many fishing companies therefore simply continued to fish as before, resulting in overfishing. For the future, then, there is only one solution: where there is a question mark over the future of fish stocks, fishing companies must reduce their catch. In the past, scientists’ recommendations on the total allowable catch (TAC) were often ignored. 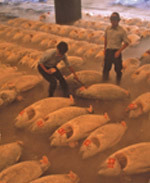 This situation is now changing to some extent, notably in the USA, although not in the case of tuna: the International Commission for the Conservation of Atlantic Tunas (ICCAT) is still setting larger total allowable catches for high-value and overexploited species of tuna than scientists recommend. A gradual improvement can be observed in deep-sea fishing. 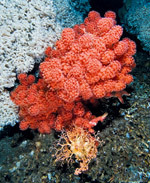 From the 1970s to the 1990s, it was above all the Japanese, Russian and Spanish fleets which penetrated into ever-deeper waters and extended their fishing operations to shoals of fish which inhabit cold-water corals or seamounts (undersea mountains). This was highly problematical for two reasons. Firstly, many species of deep-sea fish are very slow to reproduce, so stocks were overexploited within just a few years. Secondly, bottom trawling inflicted severe damage on sensitive deep-sea habitats. Many countries, including Australia and New Zealand, have learned from past mistakes and have now established protected areas where fishing has either stopped completely or bottom trawling, at least, is now banned. And although critics claim that the number of protected areas falls a long way short of what is needed, it is at least a start. Experts are also concerned about illegal, unreported and unregulated (IUU) fishing, which is still widespread and puts extra pressure on already overexploited stocks. The volume of illegally caught fish is estimated to be equal to 14 to 33 per cent of the world’s total legal catch. Combating IUU fishing is difficult as IUU vessels often operate in the territorial waters of developing countries which cannot afford to establish complex and expensive monitoring, control and surveillance systems. Some years ago, the FAO produced a catalogue of measures to prevent, deter and eliminate IUU fishing which envisages closer international cooperation between port States. The aim is to prohibit IUU vessels from landing the fish, thus preventing the illegally caught fish from reaching the markets. Implementation of these joint “port State measures” has only recently begun, however, and progress is slow. The introduction of blacklists of all IUU vessels already identified is a promising step and is intended to make it more difficult to land IUU catches. Furthermore, a number of international assistance projects have helped developing and newly industrialized countries such as Mauritania to establish radar-based vessel monitoring systems or effective fisheries control structures.